CentrikBlogsLegal AdvisoryAuthentic Legal AdviceWhat is Benami Property? What are the actions taken under it? Recently in a speech in Himachal Pradesh, our Honorable Prime Minister hinted that after demonetization his next target will be Benami Property. 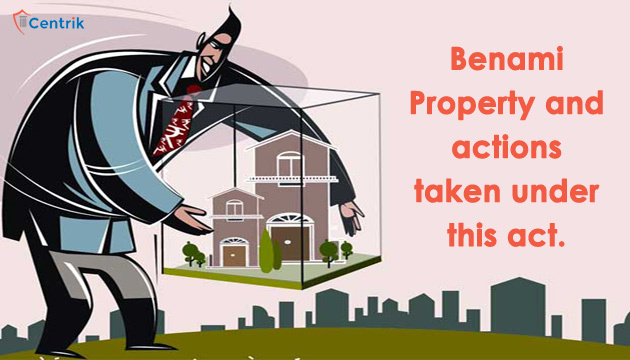 What is Benami property and what are actions taken under it is still a question for many. Here we will be focusing on Benami property and try to put the light through laymen language. Suppose, you purchase a property but you are only paying the considerable amount. The property will be owned by someone else name like a brother. Then this property will come under Benami Property. The person in whose name this type of property is bought is called, Benamdar and the property so purchased is called the Benami property. A person who pays the considerable amount is the real owner. What are actions taken on Benami Property Legally? Parliament passed the Benami Transactions (Prohibition) Act, with the assurance from Finance Minister that genuine religious trusts would be kept out of the realm of this new legislation. Assets of any kind — movable, immovable, tangible, intangible, any right or interest, or legal documents. As such, even gold or financial securities could qualify to be Benami. Since Benami Act is considered illegal, penalties are also very hard-nosed for those that are involved in Benami transactions. The main agenda to bring forth this act is to put a constraint on black money. People with unaccounted income cab be brought under the scanner with help of this act. Our legal experts will be glad to serve you.